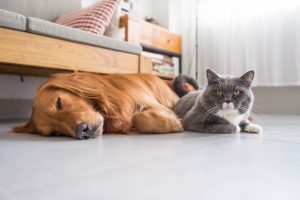 How To Introduce Old Pets To New Pets | Babcock Hills Veterinary Hospital, P.C. New family members can be exciting but also can be stressful if initial introductions do not go as smoothly as anticipated. Remember to not give up hope. Relationships don’t form overnight and sometimes it can take months to make progress. If you need help or would like more information on proper introductions between animals, feel free to reach out to the professionals at Babcock Hills Veterinary Hospital and schedule an appointment today!